A Washington Post poll finds that Virginians are split about 50/50 on the question of whether Governor Ralph Northam should step down from office after revelations of his use of blackface during medical school some 35 years ago. 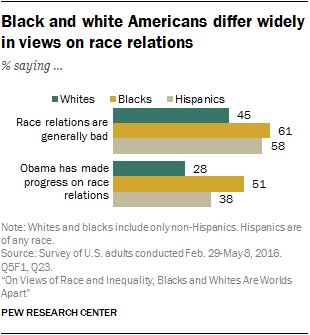 The most fascinating finding within that poll was that whites are more likely (48%) than African-Americans (37%) to hold that position. If whites are more outraged by the blackface incident than blacks, an interesting question arises: How much is white outrage driven by virtue signaling? Blackface is racist, white people are told, because it demeans and humiliates black people. But in the grand scheme of things, how do the blackface revelations compare to all the other problems and challenges that African-Americans confront — you know, things like crime, terrible schools, the drug epidemic, child neglect and abuse, lack of job opportunities, and so on? The Washington Post asked a question that could allow us to get at that question more directly: Were you offended by the photo? The poll provided the 700 poll takers with options to describe the intensity of their feeling — “very,” “somewhat,” or “not” offended. Roughly one-third described themselves as “very” offended. It would have been great if the Washington Post had published a breakdown by race for this question, as it did for the Northam-resignation question. But assuming a strong correlation between those who declared themselves offended by blackface and those who thought Northam should resign, one can reasonably conjecture that blacks weren’t as “offended” as whites by the incident. Assuming this analysis is correct, the obvious question, then, is why white people are more offended by blackface than blacks. After all, white people aren’t the victims of the unflattering depictions. The reason, I suggest, is that many whites, especially whites sharing a liberal/progressive ideology, are heavily invested in virtue signaling — affirming their good character and moral correctness by declaring their opposition to racism. That’s why many whites fixate on symbolic issues such as blackface and Civil War statues even while refusing to acknowledge how the failed social-engineering experiments of the Left have materially devastated African-Americans time after time. This entry was posted in Culture wars, Race and race relations and tagged James A. Bacon. Bookmark the permalink. Good character and moral strength is the opposite of virtue signaling. Indeed, virtue signaling is a sign of corrupt character and motive. Courage in the face of personal adverse consequences is the opposite. It signals good character and moral virtue. A classic example of corrupt virtue signaling is when Virginia politicians take credit to protecting the public safety and public interest during the August 12, 2017 riots in Charlottesville. In fact, those politicians did no such thing. They did the total reverse. They stripped their fellow citizens in Charlottesville of the protection they deserved and were entitled to under the law, and instead made matters far worse in the city, and left deeply lasting wounds in the public spirit there and nationally, while those very same politicians cravenly used the tragedy for private political advantage, while lying about their own actions. Beware. The virtue signaler is most always corrupt. The Democratic party needs 80-90 percent of the black vote to win. If the issue is the economy and opportunity, Republicans can get more votes from them. Trump will be making that case again in 2020, with a strong set of facts. If the issue is abortion, the pro-life attitudes are powerful among African-Americans. (You saw them back off that issue fast!) Likewise the GOP has a shot at a strong showing in that community on the basis of a number of other issues. The only way to create a monolithic one-party black vote is with the race and resentment card. It is the only ace card they have so they play it always and hard, and when exposed as hypocrites have to scramble to repair the damage. There is no Betty Ford Clinic, no clinical therapy for offenders like Northam and Herring, so we’ll get the White Privilege kabuki ritual instead, and of course the proper answer to give pollsters is deeply ingrained. A similar process is used to secure a high percentage of females, and Democrats still cannot face the fact that Hilary lost several categories of female voters in 2016. Kavanaugh will be invoked continuously to seek to change that. It’s totally true – the Dems need the Black vote to win – no question but is there a chance in Hades that Blacks will swing to the GOP? I put that in the category of BAHAHAHAHAH !!! I guess that’s the old race and resentment card, eh? I think you have jumped the shark on this. Blacks KNOW that Northam supports black people even though he’s “guilty” of past crimes. That DOES NOT mean they are not offended by black face. but they are torn when folks who they have supported have been found to engaged in it. This “virtue signaling” stuff is just more pure right wing idiocy… where they evade and avoid essential truths about what black folks really think. Your proposition looking especially at “whites sharing a liberal/progressive ideology” virtue signaling is flawed in that it does not recognize the equally numerous conservative legislators also virtue signaling. Have you seen a single conservative speak up to defend “blackface”? The conservatives being interviewed on this issue have also virtue signaled that blackface is not appropriate and have even called for Northam’s resignation and acted appalled at the current situation with this Democratic administration. While calling out the Democrats for some of their failed policies re: African American citizens, you fail to point out the failing of the current federal administration’s huge tax cut for the wealthy that has benefited the wealthiest of our nation, but in fact has not worked to benefit the poor or the struggling working class. 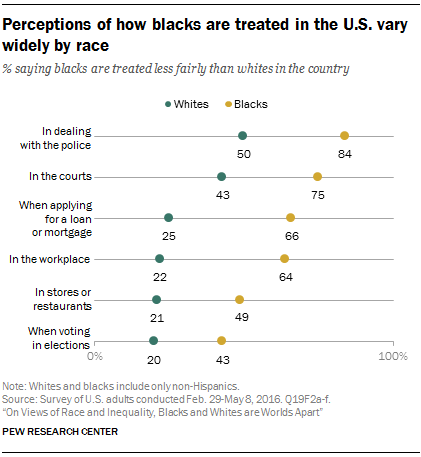 Why has the GOP not captured more of the black or minority vote if their policies and attitudes are so positive for that community? Personally, I was shocked to see the large gathering of alt-right conservatives, nazis, and neo-Confederates march on Charlottesville, VA, saluting Trump and calling for others to support Trump along with their own racist slogans. As long as the Republican party welcomes this racist minority with a wink and a nod, they will likely feel compelled to continue virtue signaling to the minority community to show “their good character and moral correctness by declaring their opposition to racism.” I suggest it will be through bipartisan work together on jobs programs, infrastructure works funding, and promotion of private/public project development that more could be done for all of the U.S. working class. Struggling workers of all backgrounds and colors have much reason to distrust in our political class at this time. Talking the talk is one thing, but developing and producing policies that actually work is another that will require bipartisan and intelligent execution. Yep, the GOP has not helped its own cause much lately. < “Your proposition … is flawed in that it does not recognize the equally numerous conservative legislators also virtue signaling. I see a lot of virtue signaling in Republicans, too. But I think jt has a different origin. Republicans are adopting a page from the Saul Alinski playbook of making the other side live up to its own rules. If Democrats are constantly espousing PC values, then make them live up to their own rhetoric. My hunch is that many Republicans, if they spoke candidly, would say that people (including Northam) can change — Republicans should know because many of them have changed themselves — and one should not be judged solely on the basis of a transgression committed 35 years ago. But after Northam played the race card in his own election campaign, they’re not willing to cut him any slack. Live by the race card, die by the race card. Or, after Herring cut Northam no slack, until his own confession. “virtue signaling” is largely in the vocabulary of the right as far as I can tell. The right which also has a rich history of racism prefers to focus on the left as also having engaged in racism but it’s claims of having “reformed” are insufficient and once a racist – always a racist.. or some such. but anything to evade discussion of their history – AND current attitudes towards race… better to stick the Dems on their sins..
Larry, my favorite Democrat bell weather, you have made my point wonderfully in the last few comments….But indeed the GOP has played into the Democrats hands far too often. Steve – you mean poor old Corey Stewart “played into”the Dems hypocritical hands? The idiots who nominated him. but those “idiots” – they were “victims” of the Dems “virtue signaling”? that’s why they nominated Stewart ? Come on Steve – they nominated Stewart because way too many in the GOP found him acceptable and the others in the GOP who did not – just stood by and let it happen. You blame that on the Dems? And this is how the GOP is going to win over blacks to their party? LA LA LAND ….. it’s what the GOP does these days when it comes to dealing with realities… rather than actually try to win the Black vote with policies and positions – they do the opposite than try to keep them from voting…..
LG, I agree blacks aren’t going to vote RPV in large numbers, but they may not show up at the voting booth and that’s at least half as bad for the Dems. As for “virtue signaling” you nailed it, JAbbate; both sides of the current political divide engage in it when it’s convenient. @ackbar – yes, the blacks may well stay at home – they have before for other candidates they had no love of. I’m saying get rid of all of them because its hurting Virginia as a whole and our rep. As if some of these previous guys (McAuliffe’s economic development crap, McDonnell, Hamilton) aren’t bad enough, we simply don’t need all this bad press. I’mtired of all the mess. The sooner they’re out of the way, the faster we can get back to normal. This is also the start of ‘no matter what I did, I’ll stay in office and they’ll forget, meaning the next things they do are going to be worse”. The poll indicates that a sizable number of black Virginians are willing to accept blackface from Democrats. A sizable number are not. But the bottom line is that being a Democrat is more important than not engaging in racist behavior. Tell me then why, if blackface by Democrats is acceptable (the word is acceptable not desirable), why are Confederate Civil War statues put up by Democrats decades ago and now supported by some Republicans unacceptable? If Northam had been a member of a group to protect Confederate monuments on the Eastern Shore, would that make him unacceptable? Finally, outside words, what has Northam done for the typical black Virginian?